Interstate Motor & Auto Service is the automotive expert in Charlotte, NC 28213. Since, 1991 we've provided the Charlotte area with reliable, affordable automotive maintenance and repair services including 4x4 Services, Alignment, Brakes, Car & Truck Care, Domestic Cars & Trucks, Electrical Services, Electronic Services, Engine & Transmission, Engine Maintenance, Fleet Brakes, Fleet Drive Train, Fleet Electrical, Fleet Electronics, Fleet Engine Work, Fleet Front End Services, Fleet General Services, Fleet Suspension Work, Fleet Tires, Fleet Trailer Work, Fleet Wheel Services, General Services, Heating and Cooling Services, Import Cars & Trucks, Inspections and Emissions, Miscellaneous Services, Quick Lube Services, Tires, Towing, Towing & Recovery, Transmission Services and Undercar Services. 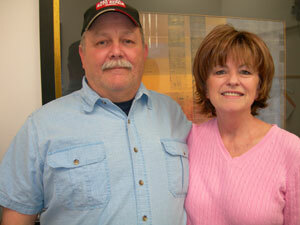 Interstate Motor & Auto Service is a family owned and operated business with family values. We pride ourselves on our honesty, sense of fairness and affordability. Our vision and our values are to maintain our high standards of service and to continually strive to improve our automotive service to you, our valued customer. Our commitment to providing the highest quality and friendly service ensures that you will feel peace of mind when your vehicle is in the care of Interstate Motor & Auto Service. Our ultimate Purpose and Goal is to esteem all people highly and to do the right thing. We live by the Golden Rule. We have experience servicing all makes and models of domestic and import vehicles, and we're honored to keep vehicles throughout the Charlotte area reliable and well-maintained. Our skillful mechanics will take great care of your vehicle too, quickly diagnosing any problems and offering cost-effective solutions to get you back on the road. With more than 35 years in the industry, there isn't anything that we can't do well! Call Interstate Motor & Auto Service today at 704-596-4110! You can also send us an email. Either way, we're looking forward to providing you with reliable automotive service!